A heart-healthy diet and balanced lifestyle can help you prevent getting high cholesterol. By following the below mentioned tips, one can cut down the risk of raised cholesterol. Avoid saturated fats like butter, cheese, coconut, cream and fatty meats, Trans fats (found in hydrogenated oil used for frying snacks commercial) and other sources of dietary cholesterol as these raises the cholesterol levels. Eating lots of fibre can also help lower the cholesterol. Sometimes eating too many carbohydrates and drinking alcohol can also lower HDL (good cholesterol) and raise triglycerides. Being overweight or obese is a huge risk factor for bad cholesterol levels. Losing weight can definitely help in lowering cholesterol. Not only increase in cholesterol but obesity can also leads to diabetes, hypertension, heart ailments and other diseases. Physical activity immensely helps in maintaining a healthy weight and lowering LDL cholesterol. Every adult should engage in any form of moderate intensity exercise such as slow running, swimming, dancing, aerobics, playing with kids etc for at least 30 minutes a day. 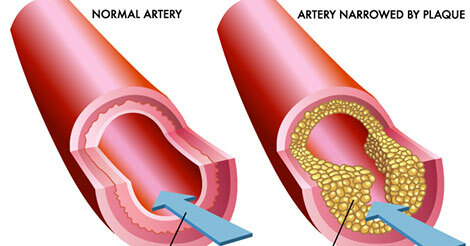 Smoking speeds up the hardening of the arteries and injures blood vessels. It significantly increases a person's risk for heart diseases & stroke. If you don't smoke, never begin. If you do, quitting will immediately instigate to lower your risk for several diseases. By doing regular lipid profile tests keep a check on your cholesterol levels. If you have high cholesterol, your doctor will prescribe medications in addition to dietary control and lifestyle changes. Controlling your cholesterol level is essential. For that, you need to inculcate good habits such as having a healthy diet, exercising regularly, etc. You will also need to take up a periodic health check-up, which will help you in identifying the health threats and help you overcome them with timely treatments. Indus Health Plus offers various health check-up packages such as preventive health checkup package, complete health checkup, etc. Choose the one, which suits your requirements. Want help to choose the right health checkup? Fill up the query form and we will contact you soon.